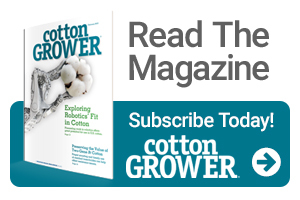 The National Cotton Council (NCC), in cooperation with multiple industry sources, has developed a comprehensive educational video outlining the importance of preventing plastic contamination in seed cotton and lint. Packages containing the educational video and suggested meeting materials will be mailed to the NCC’s interest organizations and all U.S. gins in early September. The video also can be viewed online. Best practices on unwrapping and feeding round modules into the gin to avoid plastic contamination.